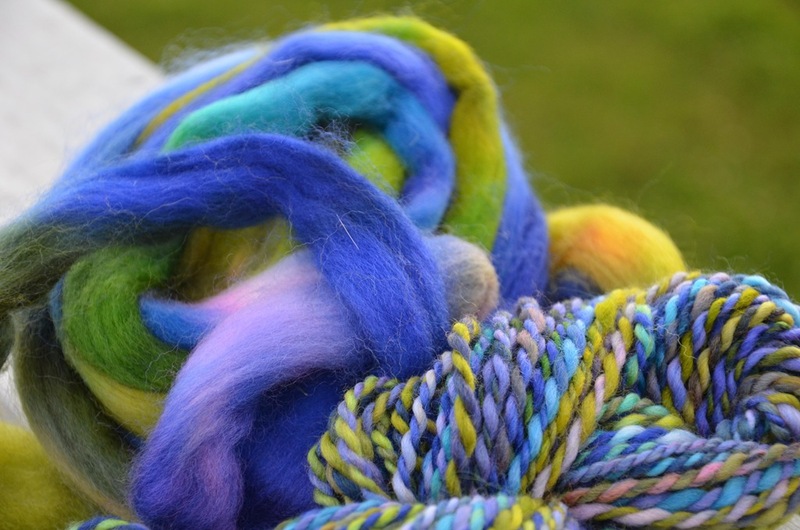 Is there anything better than walking around a room stuffed full of yarn and fiber vendors... where you are ENCOURAGED to touch, pet and fondle all the yarns you can find? sigh. I want to go to there. Again. Here are just a few of the goodies I picked up from the Bobbin Tree display. Believe me - I showed great restraint. 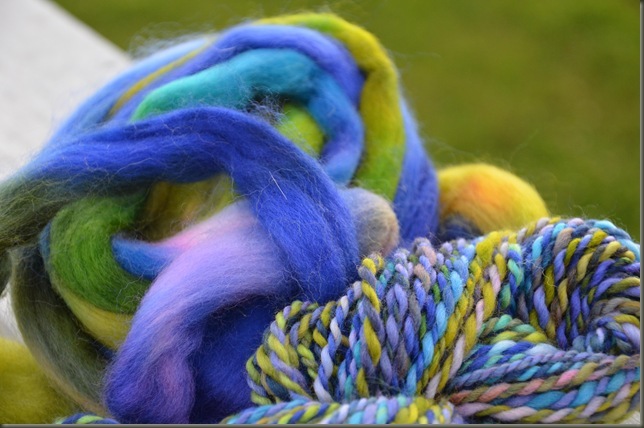 There were many many braids and skeins and bags of things that were desirable. I only came home with a few. This is saying a lot! 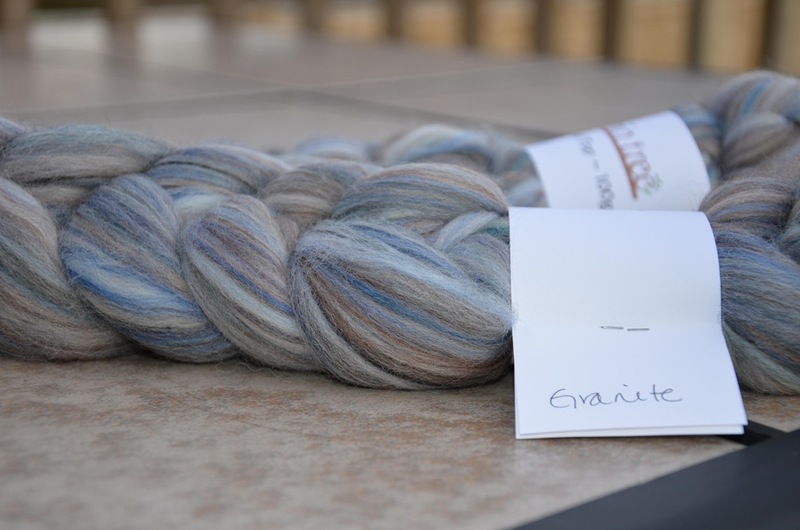 Ashland Bay Blended Merino Top "Granite"... repackaged by the lovely Janet at the Bobbin Tree in 50g and 100g braids so that there would be something for everyone. This colorway is the ultimate in neutral browns, grays and denim. I picked up 2 of the 100g braids... because you just never know. I think this is either going to be a featherweight shawl... or super chunky men's mittens. very decisive, I know. 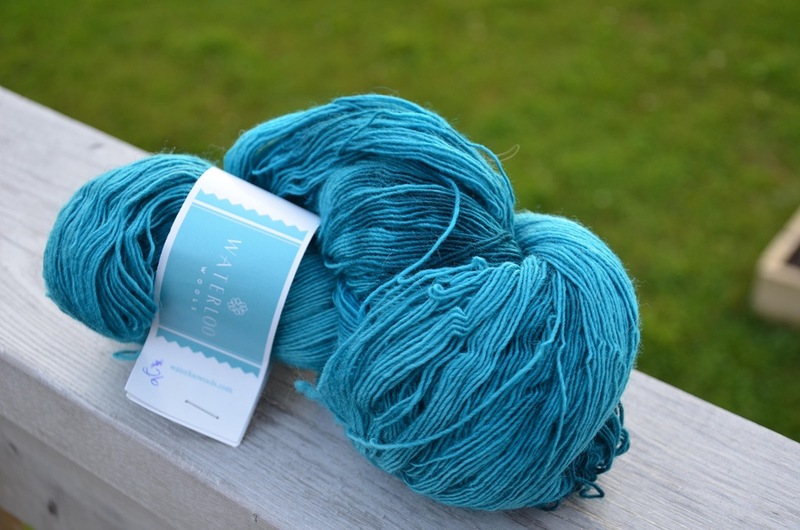 Waterloo Wools Soft-Single Laceweight "Larimar" - I had been wanting to try some Malabrigo lace, but somehow have never crossed paths with any in my travels. (so sad, I know) So when I saw this lovely yarn, and it reminded me of that style of softly spun, almost lightly felted singles, I could not resist. For those not familiar with "Larimar" as a color... this is also the name of a lovely blue stone jewelry you can get down in the Dominican Republic... the color reminds me of the Caribbean Ocean in it's blue loveliness. I was happy also to see that the yardage is excellent - 800 yards if I remember correctly. This should make a perfect light lacy shawl just for me... and in a fabulous color too! This yarn was featured in 3 other jeweled tones... which I really had to exert a lot of effort not to bring home with me.